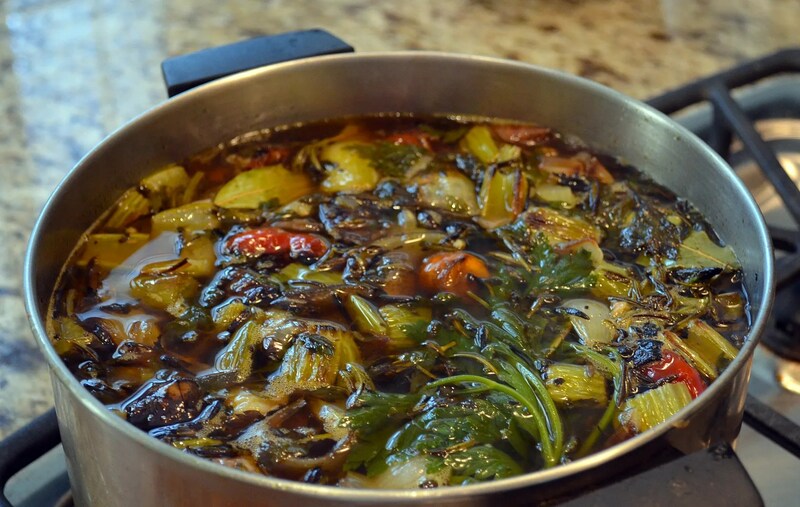 My sister in law, who is fairly early into her vegan journey, asked me over the weekend if I had ever pulled from my garden to make a good vegetable stock. I had to admit that I hadn’t although I had been meaning to experiment in that area for some time. So two days later I decided “now”, with a bounty of fresh onions, shallots, garlic and herbs, was as good a time as any to do it. I preheated the oven on “convection roast” 425 degrees. 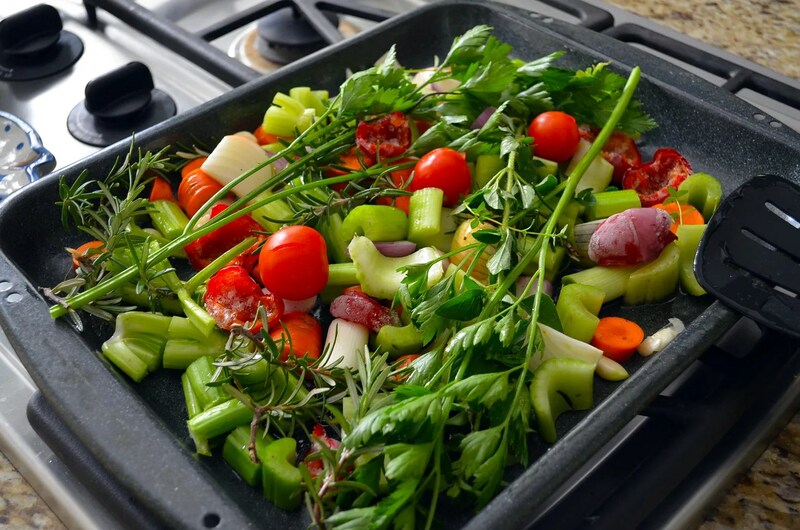 In the meantime I spread the cut vegetables and herbs in a roasting pan and drizzled with a tablespoon of olive oil and tossed around a bit. I roasted them for about 25 minutes, opening the oven every 8 or 10 minutes to toss the contents of the pan around some more. Once the pot came to a boil I reduced to a simmer and after almost one hour removed it from the heat to cool for a while. Finally I strained the stock through a fine mesh sieve (a tea strainer actually, it worked very well). I believe it will keep a couple days as is just fine; I’ll probably freeze it in half pint or pint sized containers until I need it. Overall it smells like a success- very flavorful with a nice base color. 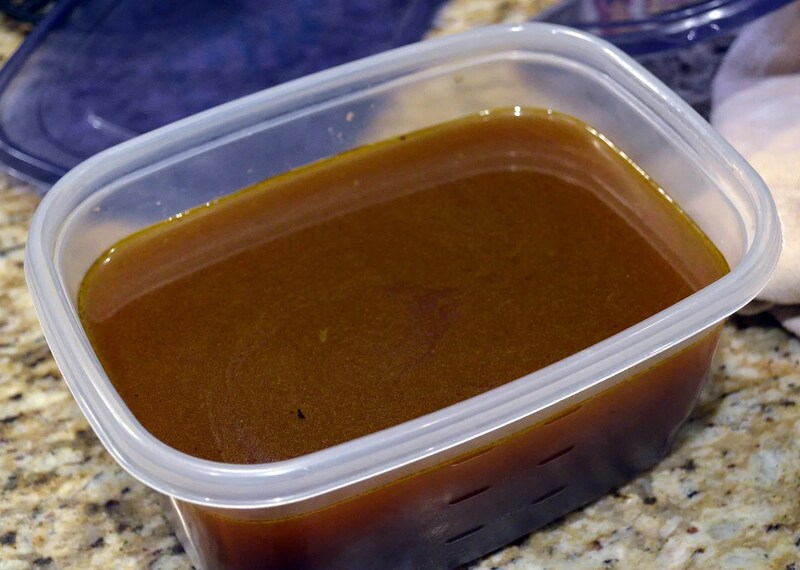 It didn’t make much, but it is concentrated enough to add an equal amount of water to reach the called for quantity in most recipes. The vegestock looks great. Please save some for us! It looks lovely and rich. I often make this and any odds and ends like brocolli stalks etc can be used up. Delicious too!